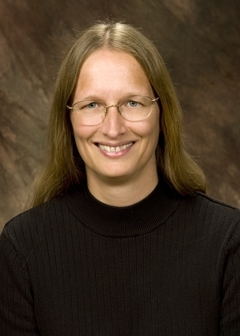 Betty Birner is a professor of linguistics and cognitive science in the Department of English at Northern Illinois University, in DeKalb, Illinois, where she has taught since 2000. Following a brief career in journalism (culminating in a stint as associate editor of Wood and Wood Products Magazine), she received her Ph.D. in linguistics from Northwestern University in 1992, after which she had a two-year postdoctoral fellowship at the University of Pennsylvania’s Institute for Research in Cognitive Science. At NIU, she served as the English Department’s Director of Graduate Studies from 2007-2012, following which she took a year-long sabbatical that gave her the opportunity to pursue research, travel, and relaxation. She is now re-energized and back at NIU, where she enjoys once again being a regular faculty member. She’s married to Andrew Birner, an IT security architect for W.W. Grainger, Inc., and they have a daughter, Suzanne, who is in her second year in the doctoral program in Geology at Stanford University. When Betty’s not doing linguistics, she’s busy doing volunteer work with her church, eating at way-too-expensive restaurants, and raising Samson, the little kitten who recently showed up in the backyard needing to be brought in and adopted. Betty’s research interests center on information structure and noncanonical syntactic constructions. Her books include Introduction to Pragmatics (Wiley-Blackwell, 2013), Drawing the Boundaries of Meaning: Neo-Gricean Studies in Pragmatics and Semantics in Honor of Laurence R. Horn (Benjamins, 2006; co-edited with Gregory Ward), Information Status and Noncanonical Word Order in English (Benjamins, 1998; co-authored with Gregory Ward), and The Discourse Function of Inversion in English (Garland, 1996). I first joined in 1987, when I was in my second year of graduate school at Northwestern University. I’ve been involved in all kinds of ways. I’ve been to five LSA Institutes, either as a student, an instructor, or a workshop participant; it was great fun to be a student at the 1987 Stanford Institute and then return 20 years later as an instructor at the 2007 Stanford Institute. I served as the first author and editor for the LSA’s FAQ brochure series, in 1998-99. I spent three years on the Undergraduate Program Advisory Committee from 2005 to 2007, including one year as chair and one as co-chair. I’ve given talks at 18 Annual Meetings, and have served as session chair and reviewed abstracts for others. In fact, I’ve attended every Annual Meeting since 1987, except for one year when I had pneumonia – and I was really upset to miss it that year! I originally joined so that I could attend the 1987 Linguistic Institute. My advisor, Gregory Ward, made it clear that joining the LSA and attending the Institute were crucial to my development as a linguist, and he was right. At the Institute, I wrote a paper for Larry Horn and Steve Levinson’s Pragmatics class that I later presented at that year’s Annual Meeting – the first paper I ever presented at a conference (which eventually turned into my first publication as well). At that same Institute, I wrote a paper for Ellen Prince’s Functions of Syntax class that eventually developed into my dissertation. I think the most important service the LSA provides, both to its members and to the field, is connections. I met most of my linguistics heroes – now my friends – through the LSA, and I’ve forged lifelong relationships with people I first encountered at an Institute or an Annual Meeting. I’ve become familiar with new strands of research by hearing about them at LSA meetings and Institutes, and my work has become known to others through those same venues. Language is the flagship journal in the field, so publishing work there gives it its widest possible audience. And of course by connecting with colleagues, we become able to do things on a scale that wouldn’t be possible individually – making our collective voices known on important issues, improving the quality of linguistics education, and raising the stature of the field in the public eye. My research in general focuses on information structure and contextual constraints on noncanonical word order. I originally became interested in this as an outgrowth of the work of my advisor, Gregory Ward, and his advisor, Ellen Prince. I’m fascinated by how many semantically equivalent ways of expressing a given proposition are available to a speaker, and the question of how a speaker selects from among those options in order to achieve subtle information-structuring effects. My specific research projects at the moment are, first, to more tightly define and taxonomize the types of inference that affect the information status of linguistic constituents; and second, to investigate how these noncanonical-word-order constructions and their constraints may be related, interact, and combine within a sentence. There are two, I think. The first is the accelerating rate of language death and the terrible loss of linguistic and cultural diversity that attends it. The second is an economic and political climate that endangers linguistics departments and funding both for linguistics research and for scientific research in general. I have no answers other than for the LSA and individual linguists to continue to fight the good fight, and to share our passion for language with our students – to help them to see the value in linguistic diversity and linguistic study.